The Denver Broncos (1-0) have a quarterback killer on the roster and his name is Von Miller. Led by No. 58, the Broncos defense sacked Russell Wilson six times as Denver defeated Seattle (0-1), 27-24. 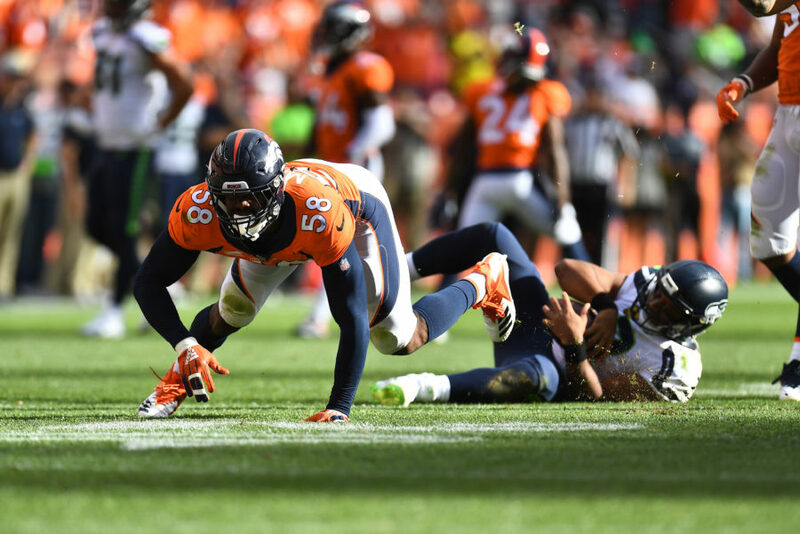 It was a disruptive performance for the Broncos defense Sunday afternoon, but Miller made the biggest impact by far. Miller had seven total tackles, four hits on the quarterback, three sacks and one fumble recovery in the Week 1 contest. Miller’s consistent ability to get after the quarterback made it difficult for Seattle’s offense to move the ball in the fourth quarter. 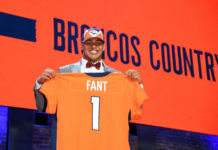 He also helped make up for a pair of second half turnovers from the Broncos’ offense. In total, the Broncos’ offense turned the football over three times in the victory. 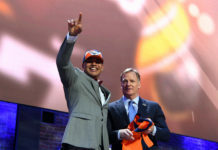 Luckily for the home team, the Denver defense forced three turnovers, six sacks and had eight tackles for loss. In his regular season debut with the Broncos, quarterback Case Keenum completed 25-of-39 pass attempts for 329 yards, three touchdowns and three interceptions. Moving forward, the offense will need to cut down the turnovers. But it is clear that this offense has potential to be lethal through the air. Wide receiver Emmanuel Sanders hauled in a 43-yard touchdown reception in the second quarter and finished with a game-high ten receptions for 135 yards. Demaryius Thomas had a strong performance as well. The veteran wide receiver had six receptions for 63 yards and the game-winning touchdown in the fourth quarter. The Broncos did the majority of the damage through the air Sunday, but the team used its rookie running backs to keep the Seahawks honest. Phillip Lindsay and Royce Freeman each carried the ball 15 times for 71 yards apiece. Lindsay also scored the first touchdown of his NFL career, a 29-yard reception in the first quarter. Following the victory over Seattle, the Broncos will host the Oakland Raiders on Sept. 16. Oakland plays the Los Angeles Rams on Monday Night Football this week.